Your membership organization has invested in a state-of-the-art, community-wide, economic development infrastructure. This provides a single network that can host all of the businesses within the community. Members can now be connected to the Official Area Search Engine for the community, and the Official Mobile Application, in order to leverage significant prospect traffic coming into the local network. Members of participating organizations receive the assistance they need to be sure member businesses are properly set up online. ​The standard member services are available to most members where their membership organization or Chamber uses a program from Chamber Nation. Near the bottom of this page, and below the following list is a BUTTON that goes to a page explaining the additional services included with your membership, when your Chamber or organization is part of the Chamber Lobby, or DOCuTEAM program. 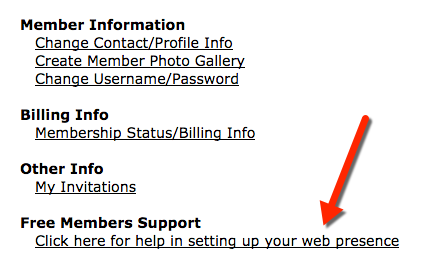 To get started simply locate the Login button (or link) on your membership organization or Chamber of Commerce website. From here you may use the lost password function to get started if you don't already have your username or password. Now click the Advanced Tools button and answer a few questions. Once completed, you will be taken to the Traffic Catcher Site Center where you can build out your page in the way that best expresses you and your business. If you need assistance or have any questions, please click on the Free Members Support link and submit a Help Request Ticket. A representative from the Free Member's Support department will get in contact with you. ​The marketing landing page is the primary tool for sharing information about the business and its products or services from the main business directory. This landing page makes it easy for customers and other members to refer you and your products and services to others via email, the member business network, Facebook, LinkedIn and Twitter. You can leverage your landing page via your website, or you can convert this landing page into a website landing page with a domain name. The marketing landing page is also mobile accessible. ​Easily upload your business commercial onto YouTube, then embed the embedded code (don't worry, instructions are available on this feature's page). Your video will be automatically distributed through a link in the Member Directory and will also play within your landing page. ​The business directory is used by thousands of people. It is important they find what they are looking for and see an attractive presentation. Up to 10 photos can be added to create a scrolling photo tour. Create coupons that are published on the organization's website, the mobile app, member-to-member offers, printed coupon book, and in the Daily Deal's emails. ​Your customers may want to take advantage of their existing social networks to refer your company or service. The marketing landing page has the modules to easily integrate with many different social services. Your prospects or customers can now share your business via services like Facebook, Twitter, LinkedIn, Chamber Social Network, and others. ​The Traffic Catcher System (TCS) tracks visits from the Member Directory that are generated from the Area Search Engine and traditional search engines like Google. Reporting is available to members in order for them to see how many times their information has been viewed or accessed. It also enables the member to see what people are searching for in the local community and finding (or not). If the list of "not found" search results match what the member offers, they may adjust their search keywords so that the next time that search will be matched with the member business. When you are a premium member, the Traffic Catcher System tracks not only the clicks, but actual views of your site. In the marketing catalogs, viewers can vote on which products or services they like the most. Data like this is useful when making wise advertising decisions. All submissions are sent to the organization to be approved before published to the community website. Syndicated Calendar is designed for communities that want to offer individual calendars to various organizations and members for use in their own websites. The calendars can then be uploaded to a master community-wide calendar. Approved events will be presented in the event calendar on the community website for public view. A registration option is available when creating an event. Submit a story in the Newsletter on the community website and sent in the broadcasted Newsletter email. Submit an coupon that will be sent out in the Daily Deals Broadcasting Email. The email is received by members and subscribers. Submit an announcement pertaining to your business. The announcement will be published to the Press Release page on the community website. ​Although our focus is on delivering local prospects to you, the system is also set up to deliver national views. 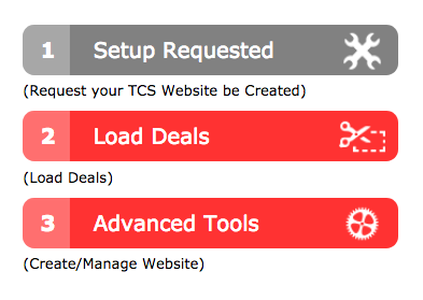 We send your TCS landing page information directly to Google through their site mapping API. Local traffic is the most valuable traffic for most businesses. The Chambers of Commerce and other local membership organizations we support typically rank well on search engine results. This results in traffic routed to members through various marketing channels provided with your membership. It's the perfect way to advertise locally online. There are a number of advertising tools within your Traffic Catcher System. With a click of the MULTI-POST button, your special offers, events, and comments are added to the community social stream. This stream runs live on many Chamber / Community websites and community mobile apps. You will be amazed at what you can do locally through the Internet with your organization. Interested in Becoming a Chamber Member? We will send you a proposal right to your phone.